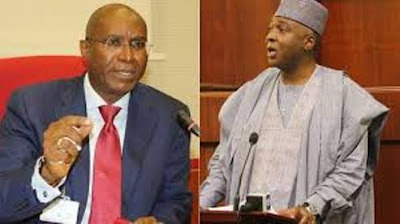 SENATOR Ovie Omo-Agege, still insists that the All Progressives Congress, APC still commanded majority seats in the Senate, saying Dr. Bukola Saraki knows he must step down as Senate President since he could not continue to lead the Senate when he belonged to a minority party. He also said those that defected from the APC to the Peoples Democratic Party, PDP, returned to their natural habitat. “These are people who never supported President Muhammadu Buhari especially in the Senate, so we are glad that they are gone. “Those who are left now are those who will champion the President’s course. We have no regret that they (the defectors) are gone.” Fielding questions from newsmen at a function in Emevor community, Isoko North Local Government Area, Delta State, Omo-Agege said the wave of defection from the APC would not affect the fortunes of the party in the 2019 general election. On the leadership of the Senate, the Senator representing Delta Central Senatorial district at the National Assembly, said: “APC has 53 Senators in the Senate while PDP has 49. ADC has has two, APGA has two and there are two vacancies. Those two vacancies will be filled on the 11th and these elections will be held in our stronghold, Kastina and Bauchi. Even without these two seats, we command the majority in the Senate.